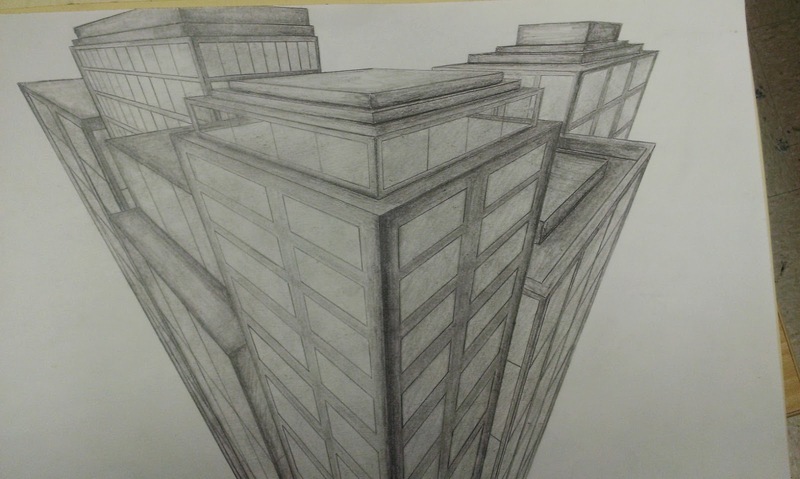 I chose to do a perspective drawing from a birds eye view because I had never done a birds eye before and I wanted to try something different. It was hard to do the lines on the buildings that were closer to the edge because of the sharp perspective but it was a good challenge. I was also a little wary when shading the buildings but I am happy with the end result.